Have I mentioned before that I occasionally surprise myself by the stuff I end up watching? And liking? It happens. 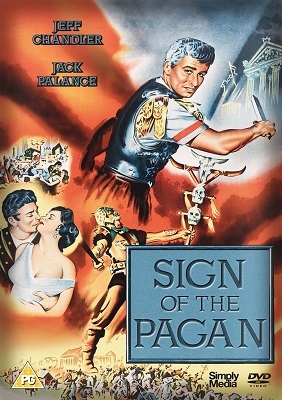 Sign of the Pagan, Douglas Sirk (1954, USA). Sirk made some blinding melodramas during the 1950s, but he was more often a director-for-hire, and not all of the films he made show the same subversive quality as his best work. Like this one. I mean, my love for All That Heaven Allows knows no bounds, but this straightforward historical drama about Attila the Hun and Roman emperors Valentian III and Theodosius is ordinary stuff. Palance, effectively blacked-up, plays Attila with the… relish he brought to all his roles. The remaining cast are forgettable, even Jeff Chandler, who plays a centurion who provides a through-line for the viewer. Much, if not all, of the film appears to have been shot in a studio, which gives everything a weirdly Shakespearean feel, although that’s somewhat offset by the typically Hollywood dialogue. I mean, there are touches to it that are pure Sirk – among other things, a tendency to write the women much better than is typical for the period; and some of the framing is clearly taking the piss. But Hollywood has never been good at historicals, especially ancient, and the 1950s weren’t exactly a high point for that genre. Sirk’s films have slowly been appearing on DVD, the ones he’s best known for first, of course, but it does seem a bit random which titles appear next. This isn’t really one they needed to rush out. Guardians, Sarik Andreasyan (2017, Russia). I joked on Twitter than this might be Russia’s answer to the X-Men, the Ж-Men, but no one thought it was funny. Oh well. During the Cold War, a Soviet scientist experimented with giving people superhuman powers. He succeeded, but the programme was shut down. In the present day, the scientist – who had also experimented on himself, giving himself super-strength and the power to control machines – re-surfaces, takes control of some state-of-the-art Russian battle robots, kills all the generals and scarpers. So the Russian super-secret Patriot programme, a sort of Russian SHIELD, tracks down the original experimental subjects and persuades them to form a team to combat the rogue scientist. Who has stolen a TV tower, which he plans to erect in Moscow and use as a giant antenna to seize control of all technology through the world muahahaha. 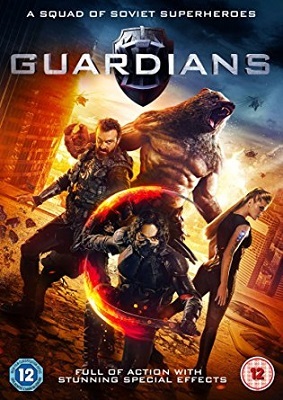 So the Patriot team – a woman who can turn invisible or into water, a man who can turn into a super-strong bear (super-strong compared to bears, that is), a man with super-speed and two very sharp swords, and a man who can control rocks and earth. The plot is pretty standard for the genre, even down to the nod at possible sequels at the end. The special effects are mostly effective, but the superheroes all look a bit off, a bit like CGI characters from late nineties or early twenty-first century films. Missable. 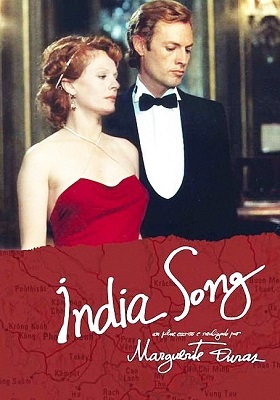 India Song*, Marguerite Duras (1975, France). You know when you come to a film totally cold, and you love it so much you want to watch everything by the director? It’s happened to me several times. And it has happened again. I really had no idea what to expect from India Song. It certainly wasn’t a film in which actors silently performed their roles to a voiceover narrative. The story is set in, er, India, and is about the wife of a French planter and her affairs. But it was actually filmed in Boulogne. It takes place in the 1930s, and consists mostly of the cast sitting around in the planter’s mansion and having the sort of conversation privileged people back in the 1930s in expatriate colonies had. The story is told entirely in voiceover. None of the cast speak – or rather, their voices are never heard on the soundtrack. 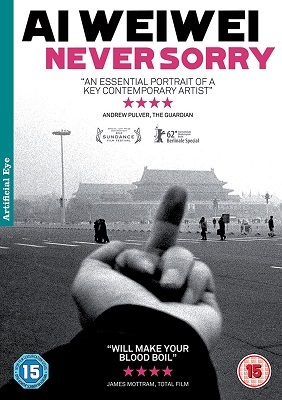 It’s a bit like watching a play, a bit like a documentary, and a lot unlike most other films. I found it fascinating – so much so, I now want to see other films by Duras, to see if India Song was a one-off or most of her films were like it. Unfortunately, I’ve had trouble finding any. I, Tonya, Craig Gillespie (2017, USA). A colleague at work likes war movies, and I mentioned in passing I’d watched I, Tonya, and he said, it’s good innit. So there you go, you can never tell what films people like or not. I, Tonya is a comedy-drama based on actual events, which sounds horrible when you think about it. Tonya Harding is best-known as a US Olympic ice-skater who was later banned from the sport because she had conspired to injure her chief rival Nancy Kerrigan. The film is made entirely from real quotes from the people involved. Harding comes across as driven but none too bright. Her husband likewise. But the man they employ as their bodyguard takes the biscuit as dumbest person on the planet. If he comes across as implausibly stupid in the film, interview footage with the real person in the end credits shows they characterised him quite accurately. To be fair, Harding comes across as unfairly punished. Kerrigan recovered, and took silver at the Olympics that same year. Harding finished eighth. But Harding was banned from competitive ice-skating for life, and ended up as a female boxer. If the movie has a flaw, it’s that Australian comedy actress Margo Robbie is too old for the role, particularly Harding’s early teen years. 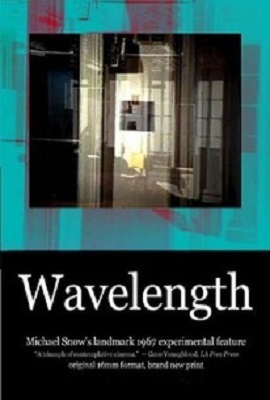 Wavelength*, Michael Snow (1967, Canada). Here’s another one I came to cold. I guess I could have researched it before watching it, but why bother? I was going to watch it as it was on the 1001 Movies You Must See Before You Die list. Anyway, it proved to be avant garde cinema, the film that created the genre “structural film”, if such could be considered a genre. It basically consists of a camera locked off on a view of a room, in which things happen as a consequence of events outside the room. There is no plot, just the after-effects of events, the consequences, out-of-context drama, and even that last description is overstating it as it’s barely drama and the context remains a complete mystery. There are also sequences where the screen flashes and noise overwhelms the soundtrack. I loved it. Unfortunately, the copy I saw was a bad rip on Youtube, and it didn’t do the film any favours. I’d like to see a good quality version of this, but I don’t think it’s ever been released on DVD, despite being chosen for preservation by the Audio-Visual Preservation Trust of Canada. Hopefully, one will be made available. Categories: film review, films, moving pictures 2018 | Tags: alison klayman, craig gillespie, douglas sirk, marguerite duras, michael snow, sarik andreasyan | Permalink.